Extreme weather conditions regularly cause roof damage and it’s important to stay ahead of the damage to ensure minor repairs don’t turn into complete replacements. Here are the four most common weather conditions that can cause roof damage. The heat beating down on your roof, especially in West Texas, can cause your roof to age faster than it would in an environment with less heat. Heat damage can be equally as harmful to your roof as other extreme weather conditions and can affect your roof from the inside and out. This sort of damage causes your shingles to tear, crack, and curl up, which can affect your ventilation and ultimately impact the temperature in your home. 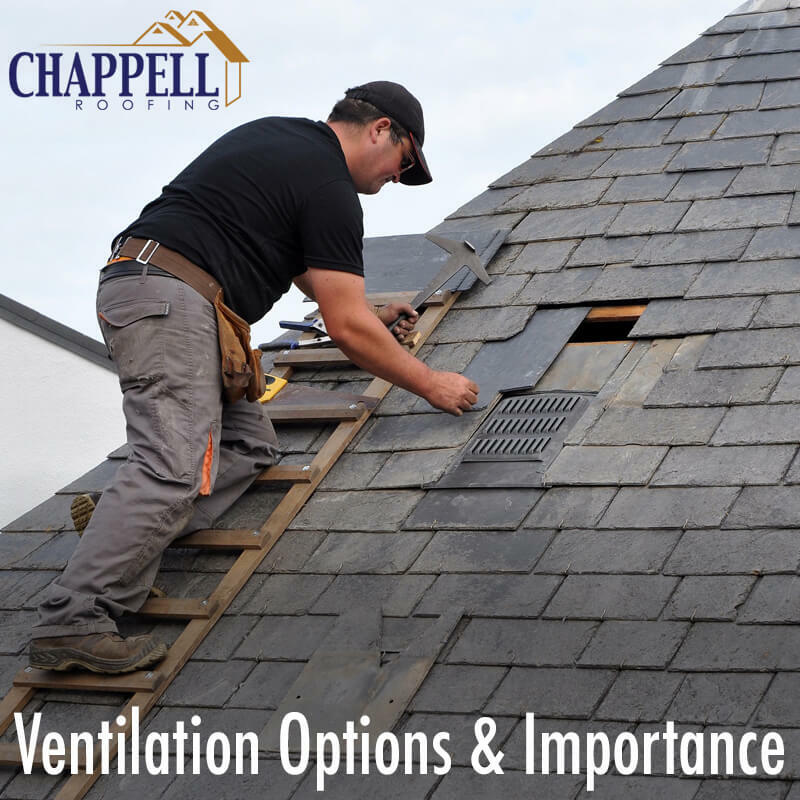 If your roof has suffered the harmful effects of heat damage, call Chappell today! Most fallen debris that can damage your roof after a storm is due to trees. Branches and leaves wouldn’t do too much damage, however full limbs can do an extensive amount of damage. It’s important to maintain the foliage surrounding your roof to prevent damage from fallen debris, algae and moss. Trees nearby your home can cause algae and moss to grow and spread across your roof, causing moisture to collect and leave dark spots on your roof. These dark spots can eventually rot your shingles over time. Debris can also clog your gutters if not taken care of. Hail is common in this area during the spring and summer months. It can cause extensive damage and lead to complete roof replacement. Choose Chappell, a roofing contractor you can trust when you need a new roof! Wind may seem harmless, however it has the power to rip and tear shingles right off of your roof. After a storm, go out and carefully inspect your roof to see what kind of damage was done and whether or not you need a repair or replacement. Chappell Roofing is here for you. We understand West Texas weather and the effects it has on your roof, and we want to help repair and replace your roof damage. Give us a call today or fill out a quote form below!